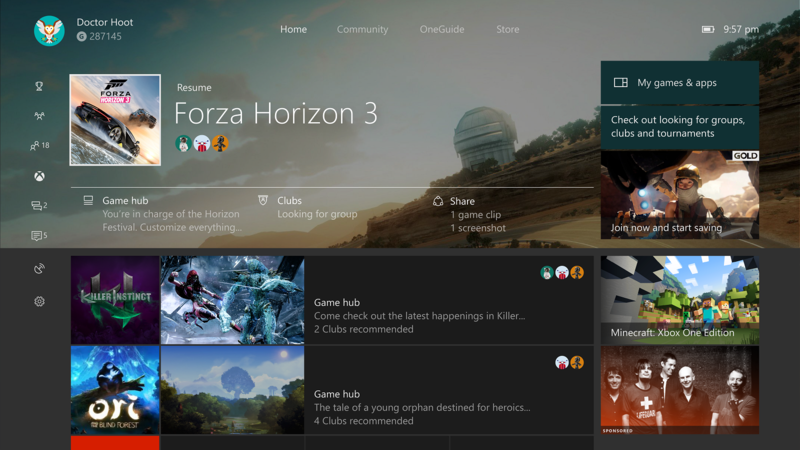 If you have an Xbox One, then you are probably playing a fair share of games on it as I do. While the Xbox One is an excellent source for gaming, there is another experience that is equally excellent. That is media playback. So, when you’re not playing the latest Gears of War or Halo, your Xbox can be a powerful entertainment device. I use my Xbox every day as my go-to source for gaming, live TV, on demand videos, my own movie and TV collection, and the media I have created such as home videos. Accessing all my entertainment options is easy thanks to pins. 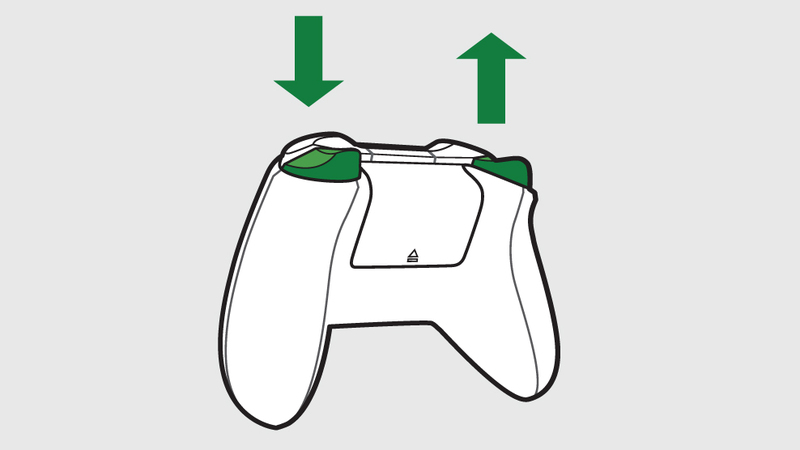 When I power on my Xbox, I simply hit the right trigger on my controller to take me straight to my pins and then choose the app I want. This is just a small portion of the apps available in the store section that can cover all your entertainment needs. These are some of my personal favorites that I use on a regular basis. Thanks to pins, I can customize this experience to my needs. As you can see, they cover a wide range of needs such as streaming music and video, local video playback, Blu-ray and DVD playback, live TV, my personal pictures and videos, and even browsing the web for more content. Let me go into a bit more detail about some of these experiences. 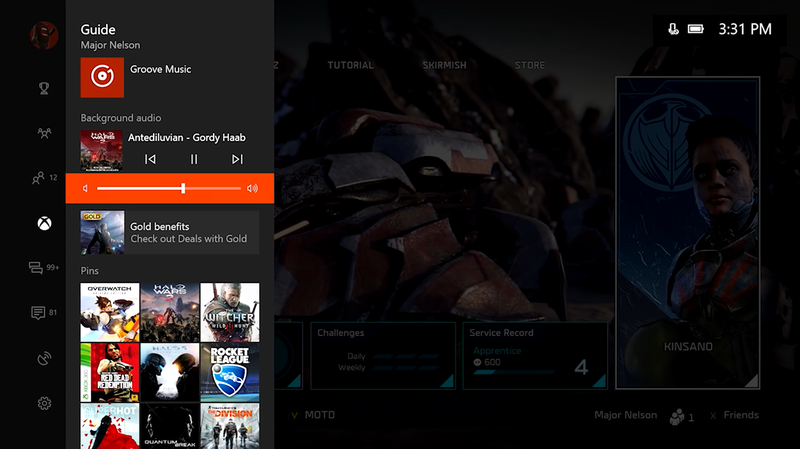 Now on my Xbox One, I can get all my live TV content without using cable thanks to two solutions. The first is using the Xbox One TV Tuner and antenna. Using that, I pick up all my local channels in HD over the air. 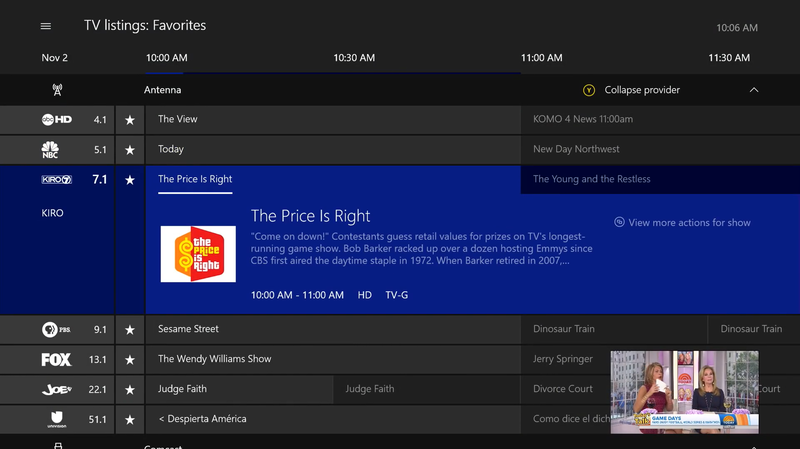 Those channels are managed within the OneGuide app you see here. From there I get access to a full channel guide as I would have had with cable service and the ability to pause live TV. There are many apps that offer on demand videos. Using one of those apps is the second solution I use to replace traditional cable. 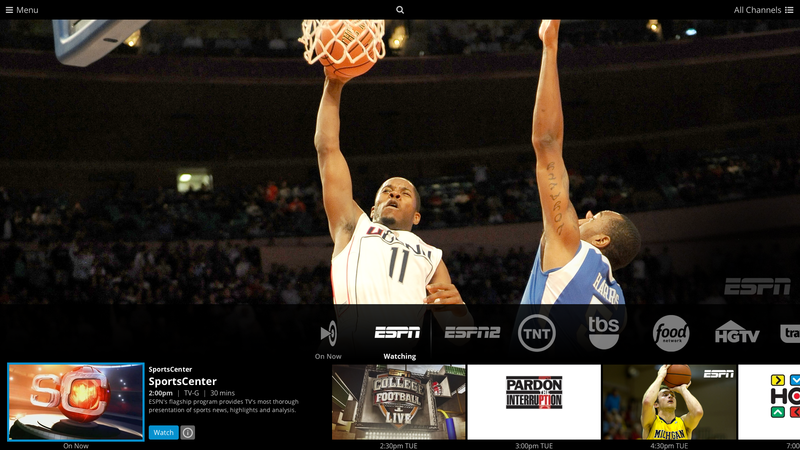 Some apps also offer a complete channel guide and the ability to pause live TV. These two experiences allow my Xbox One to replace a much more limited alternative. 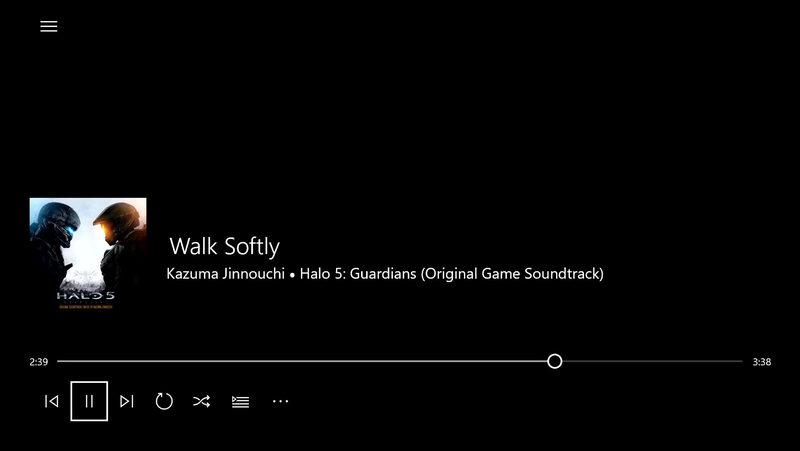 I use my Xbox One for a lot of streaming media. It gives me access to everything from music via the Groove Music app seen here, video from the Music & TV app, or accessing my favorite content from popular services I use such as YouTube, ESPN, and Amazon Video. 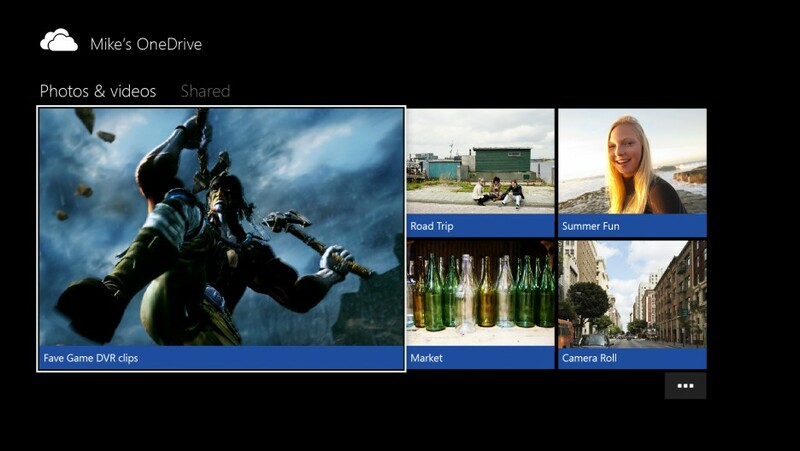 My personal media content is also easy to access thanks to the OneDrive app seen here. Here I have all my family photos and videos ready to stream on demand. I can even add these to the OneGuide app so I don’t even have to launch OneDrive to see content available and jump to view it. All my local content needs are taken care of as well thanks to two apps. The first is the Blu-ray app. It handles playback of all my DVDs and Blu-ray discs. I just put in a disc and start watching, no other setup required. It handles 3D content as well as 4K content using the Xbox One S.
The second app I use heavily is the Media Player app. Sometimes internet service may not be available for streaming or I may want to access content that is not available via my streaming options. This simple app, as seen here, allows me to playback a wide range of audio, video and picture files that I have copied to a flash drive or external hard drive. I simply plug a drive into one of the available USB ports and launch the app to choose what I want to access. For more advanced usage, this app can be used to access the media I have stored on my home network, such as on a computer. 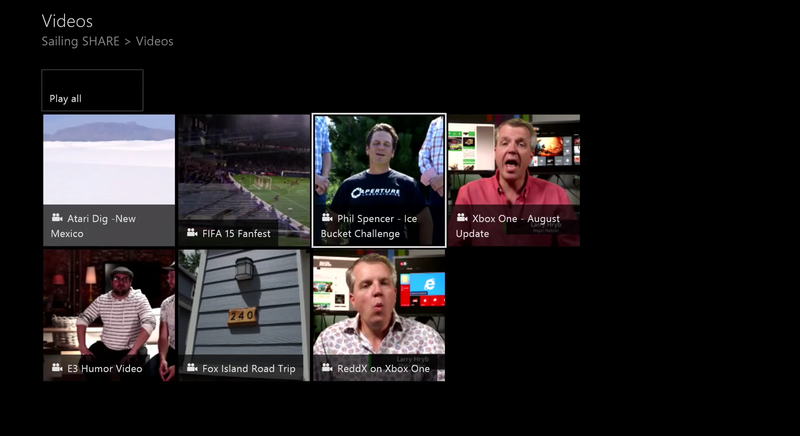 These are just some of the experiences I use every day on my Xbox One, check out the https://www.xbox.com for more information to make your Xbox One the ultimate entertainment device!